By tradition (known only to us), my boyfriend and I usually will travel in February. In most cases we plan months in advance, however this year we waited until the last minute and decided to go to Malaysia. One of the two key reasons we chose to go to Malaysia is because we love Asia. The other is that this destination is still not swarmed by our tourists. Since we will be staying for nine days (not much, but enough to explore the surface), so I was searching the internet for everything I could find about the country to prepare for the itinerary. Malaysia is located in Southeast Asia. It comprises 13 states and three federal territories. It is divided into two main parts: the western (peninsular) and the eastern (Borneo). 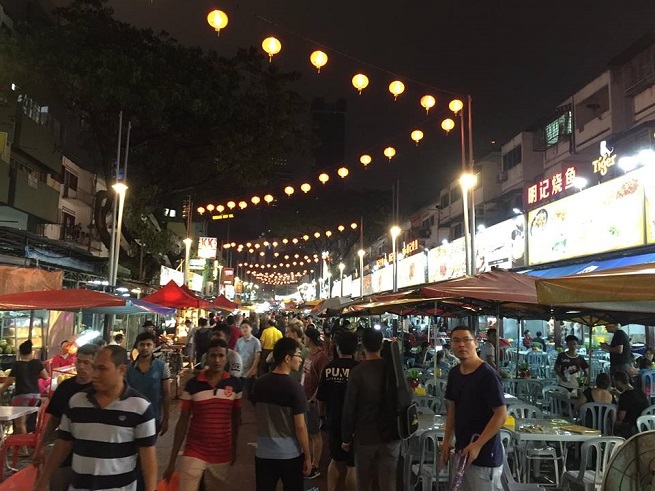 As for the population, Malay is the largest ethnic group, making around 60%, followed by the Chinese at around 25 percent, the Indians at around 10 percent and other races. The official religion is Islam and the language is Malay. Since Malaysia was a British colony, English is widely spoken. As early as during the initial search, I already liked the eastern part of the peninsular more. It seemed somewhat wild and unexplored, much more appealing to our senses. 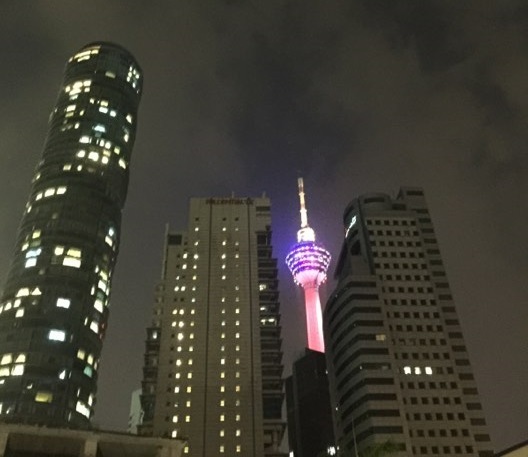 Due to the limited time of our stay and for better connectivity, however, the choice was narrowed down to Kuala Lumpur (the capital of Malaysia) in the western part of the peninsular, followed by the Penang island (George town) and then to the Langkawi Island in the north. Before traveling, you need to apply for visa at the Malaysian Embassy in Belgrade. Visa fee amounts to around 6 EUR and the visas are typically issued on the same day. All the information on applying for visa is available at their website and once you arrive there, the Embassy’s polite staff will inform you about everything you need to know and give you a lot of promotional material that would make you even more interested and wishing you had already arrived. Twenty-two hours after departure (with one connecting flight), we arrived in Kuala Lumpur. The time difference is +7 hours and, eventhough we know it will wear us down, but we immediately started to explore as much as we can before the jet lag overwhelm us. Temperature in February is around 32 degrees celsius, humidity is high and the sun is very strong because we are in the equatorial area (story about the “red people” will follow shortly). From the airport, which is one of the largest and better maintained in Asia (about 50 kilometres away from the city), it is easy to reach the Central Station by KLIA Express train or by bus, and continue from there by train or subway. There are four subway lines covering a narrower part of the almost 2-million people city. I wish to recommend Uber, which we used because it is cheaper (as compared to the price of two metro tickets), mostly due to the price of petrol being only one third of what we pay here. 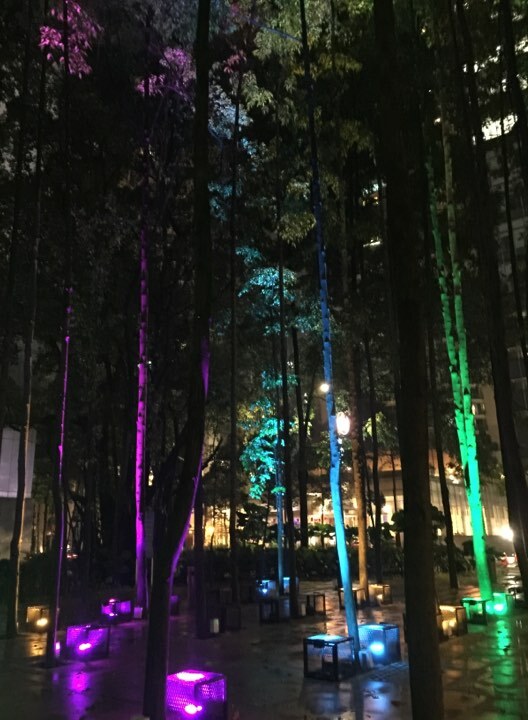 Kuala Lumpur is enchanting and swept us of our feet right from the start. The city has a cosmopolitan spirit. We were impressed by the kindness and smiles of everyone you communicate with, either officially or spontaneously in the streets, during our commuting or in the shops. Wide and clean streets, perfect urban composition of buildings, modern architecture, plenty of green areas, lawns, flowers and parks – everything perfectly aligned. The cleanliness of the city streets and parks can be compared to those in developed European countries. It is really amazing how much attention was paid to the arranging of these public spaces. We toured the Malaysian capital up and down. 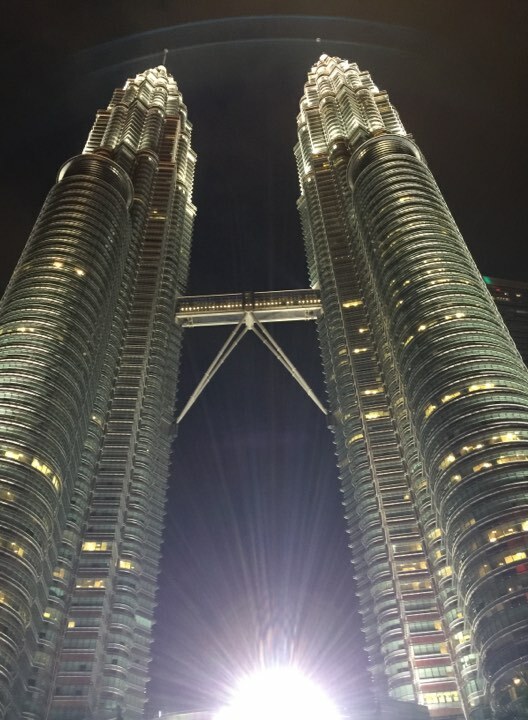 Evening hours is the best time to visit the Petronas Towers. These twin towers are 450m tall and connected by the sky bridge on the 41st floor, from where you can enjoy the view of the city. Also, you could go to the top of the KL Tower located in the city centre and see the magnificent panoramic view of the entire city. At first, it didn’t came to my mind why everyone kept telling me about the shopping opportunities in this city (shopping was never that important to me), but… you would not believe it! This shopping experience is not to be missed because the prices are – ridiculously low to say the least. For a small amount of money, you can literally dress yourself from head to toe in world-class brands and designer clothes. Since our visit took place just before the celebration of the Chinese New Year, the Central Market was adorned with traditional Chinese New Year decorations. 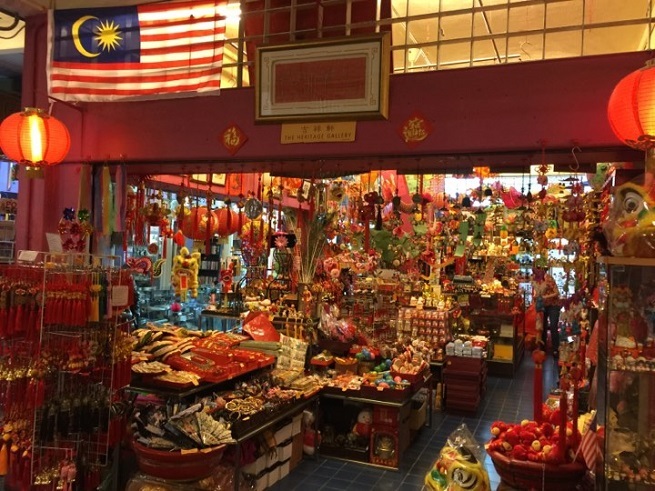 It is also important to note that the Central Market is divided into different zones with the purpose to present the insight into cultural diversity of different races in Malaysia to the visitors. Our next stop was the Chinatown. It could be described as a big chaos, in a positive way, of course. The Chinatown is situated in the heart of Kuala Lumpur. Once you dive into this part of town, you can have enjoyment in every possible way, surrounded by the oriental culture, heritage and history. You can visit the temples, go shopping or sightseeing and eat excellent food, which we did a lot in this part of the town. What I am trying to describe here is a true symphony of tastes and flavours that takes food experience to the next level. No, I am not talking about eating out of hunger; I am talking about pure hedonism. Here, the food opens up your senses and palates to the infinite variety of scents, flavours and textures… Tables with food surrounded by stalls with electronics, leather products and textile… everything in the middle of the street, which is full of people. Of course, the opportunity to visit the Bird Park should not be missed, as well as the Lake Gardens and the National Mosque that feature some of the most interesting architecture designs. They are all situated closely to each other in the part of the city that is green and looks like it is far away from the city centre, in some beautiful natural surroundings. The National Museum is one of the most interesting I have ever visited, designed to show you the country through different eras. Another must-visit place is the Batu Caves, one of the most visited tourist attractions. It is a hill with three large caves and a large number of smaller ones, situated 15 kilometres north of the Kuala Lumpur city centre. The Batu Caves are one of the largest Hindu temples outside of India. 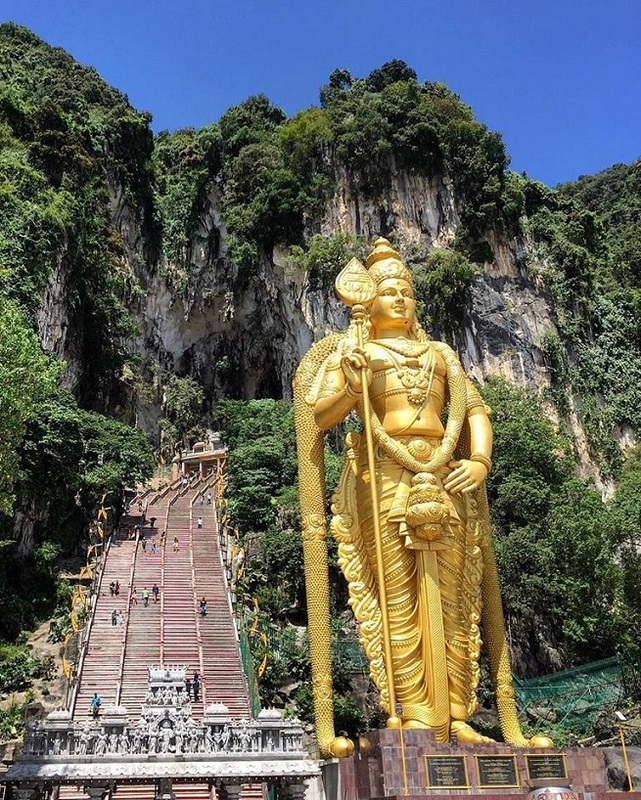 The giant gold coloured statue of Lord Murugan stands at the foot of the hill. This area is full of Macaque monkeys that jump around and try to steal from the visitors everything they can get their paws on. 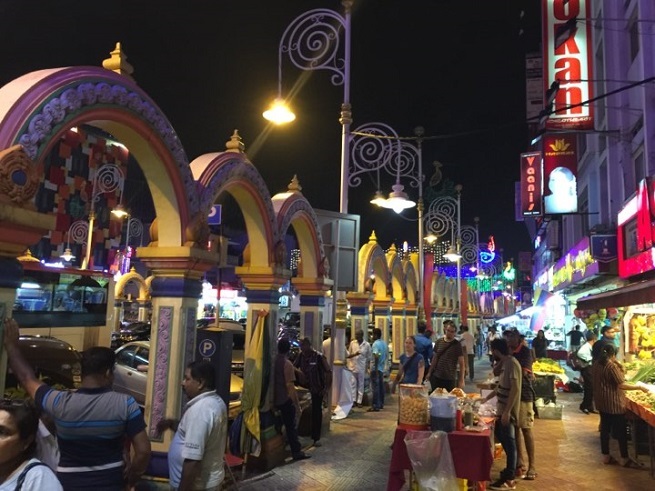 Every year, in late January or early February, almost one million pilgrims visit the temple during Thaipusam celebration. As we climb the stairs further, we reached the entrance to the main cave at the summit. The total number of stairs is 272. Climbing was very difficult for me, as the stairs were steep, uneven and the stair treads were shallow, made for much smaller feet than ours, but also because we were climbing under the strongest sun. Just before the top of the stairs, we reached the entrance to the Dark Cave, which comprises seven chambers and is 2 kilometres deep. We proceed to the top and reached the entrance to the main cave. The last thing you would expect to see – and you do – is the temple! A real and magnificent temple, filled with colourful sculptures of different Hindu gods. I have already mentioned that our stay in Malaysia was rather short. I know that anyone sensible would take the flight to the next destination, but not us. 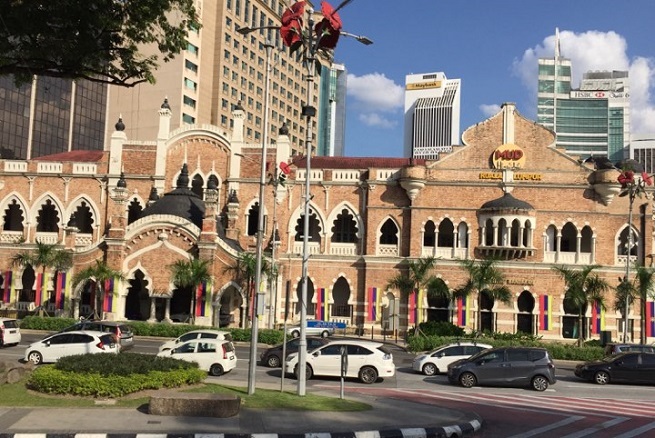 In general, flights between the cities in Malaysia are very cheap, but we took the train because we wanted to see the landscapes between the cities that we were going to visit. The train is very comfortable and cosy, though I have to mention that the temperature inside the train was exceptionally low (even for me as I am never cold), so the children who stared at us because of our (for them unusual) skin colour and height were probably wondering why these strange people are sitting wrapped up in scarfs trying not to freeze. Immediately I remembered about my former colleague, who was always cold, thinking I am becoming like him. Life is like a boomerang! We were heading for the Island of Penang and its state capital of George town. The train takes you to Butterworth, the closest place on land to the island. After you get off the train, you will board the bus that will take you, free of charge, to the port and ferry that would transport you to the island. We arrived at the island very soon. Penang has a lot of attraction to be included in the itinerary, so we could have proper experience of the island. To make the top list of the places to visit, we focused on the locations considered to have cult status. At first glance, the city is not that beautiful. The old colonial atmosphere is present everywhere. The best part is that the city takes you back to the past colonial times. Two most important and attractive sites are the Chinatown and the Colonial District, which is under the UNSECO’s protection since 2008. I have to point out that Penang is the only Malaysian state with Chinese majority population. This is the reason why we find it interesting to visit Penang just before the celebration of the Chinese New Year. The Chinese Kek Lok Si, which is by far the biggest Buddhist temple complex in Southeast Asia. It was built more than a hundred years ago and full of splendidly arranged gardens, with a seven- stories tall pagoda. Millions of vivid colours will leave you breathless. The second was Wat Buppharam, a Thai Buddhist temple. It was built in 1942 and its name translates into “the temple of flowers”. At the beginning, the temple was rather small, but reached its present grandeur thanks to its numerous donors. 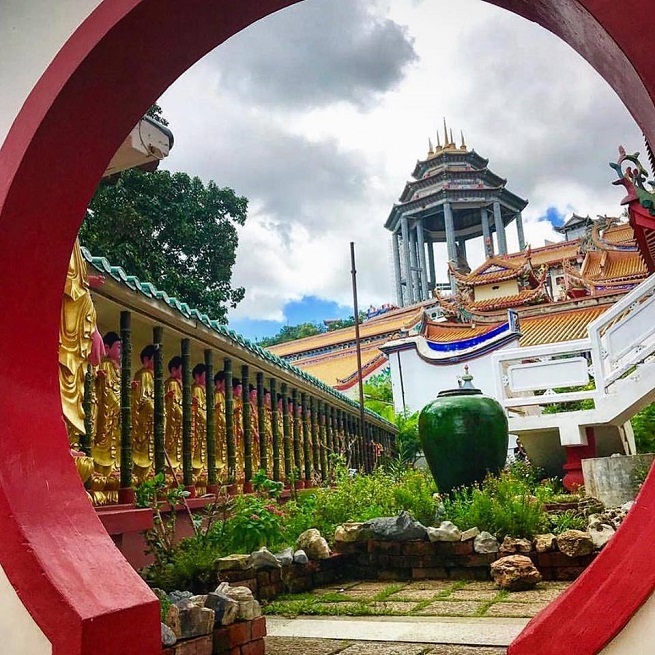 It features the Buddha Museum, Buddha garden, a large number of statues of dragons, as well as the statue of 100-year old Buddha, which is said to help the believers and visitors find answers to various questions that trouble their minds. 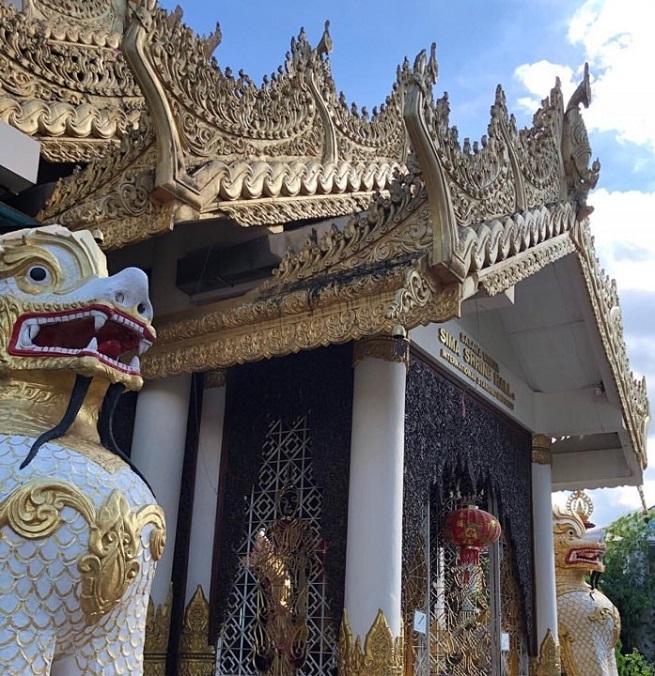 Down the same street is the Dharmikarama Burmese temple, built in 1803, which is still the only Burmese Buddhist temple outside of Myanmar. 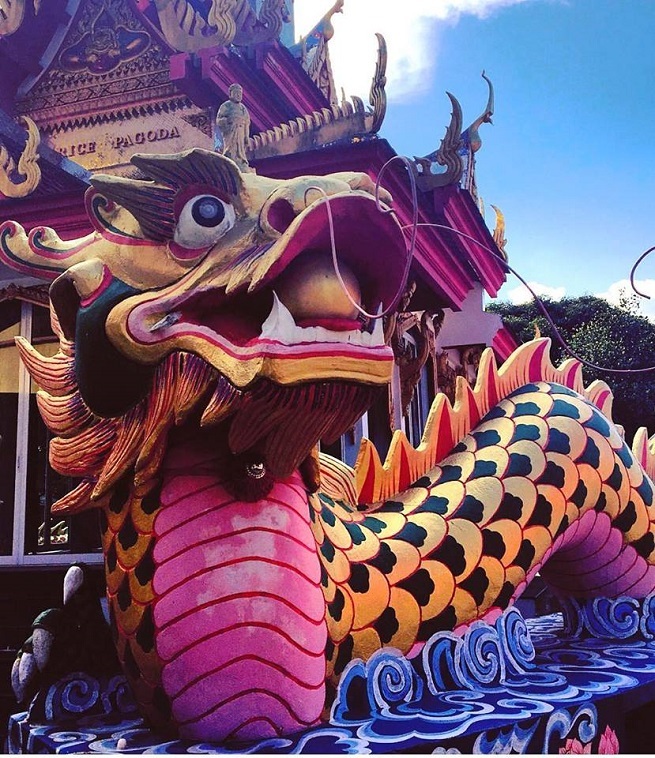 The city is famous for having many festivals throughout the year, but we, unfortunately, did not have the opportunity to see one because no festivals were held during our stay. On the internet, however, I read that traveling during the festival season is really worthwhile. 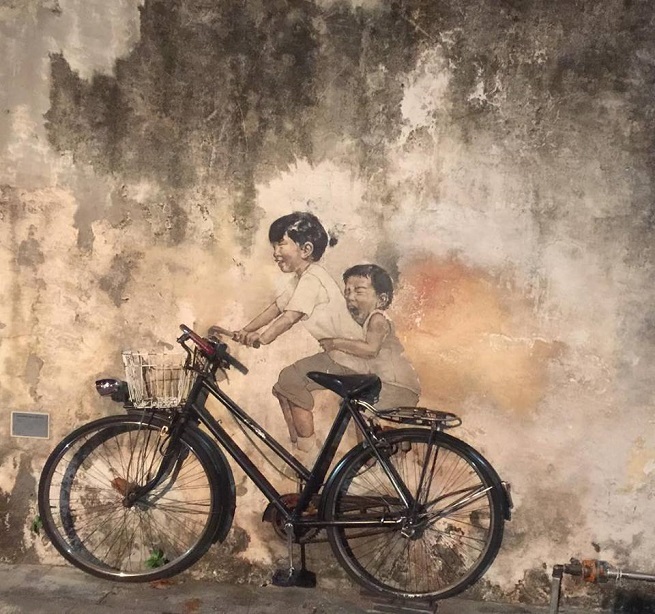 Penang is a lively island whose cultural heritage and cosmopolitan structure go hand in hand. Discovering its numerous attractions, in just 24 hours, which is the time we actually had, was a great challenge to us. We skipped beautiful beaches, or better to say sacrificed them to traipse the city. We ventured the narrow streets of the old part of town that is famous for their attractive graffiti. 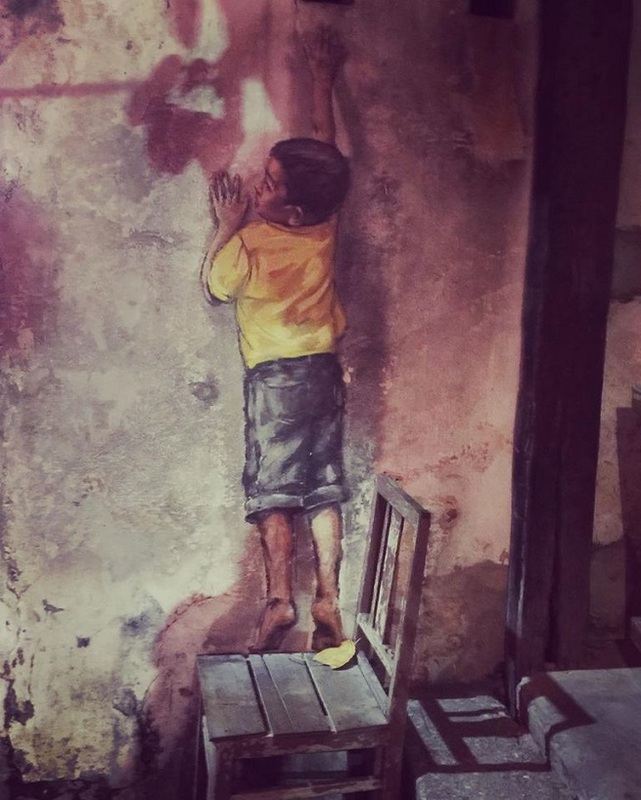 It is a part of the town that is predominantly grey, but artists painted the graffiti to make it more interesting for the visitors. When you talk to the locals and ask them what else should not be missed, everybody will point out to the island’s well-known excellent food. I have to agree. The food is so diverse, for us maybe even too spicy, but the harmony of flavours you could experience here stays carved in your memory for the rest of your life. 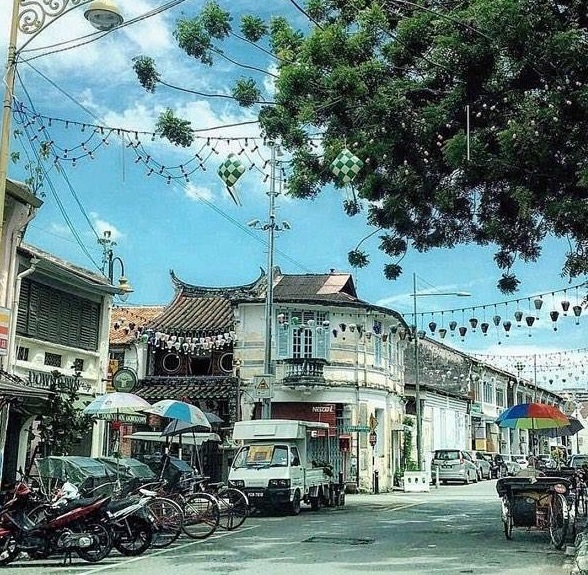 Should you describe Penang in only three words, those words would be – true gastronomic paradise. We left the island in the morning by the ultra fast boat across the sea, reached Langkawi in less than three hours. We decided to end our vacation with sunbathing at the best beaches and rest for the last three days (as much as possible because I can never stand still in one place). 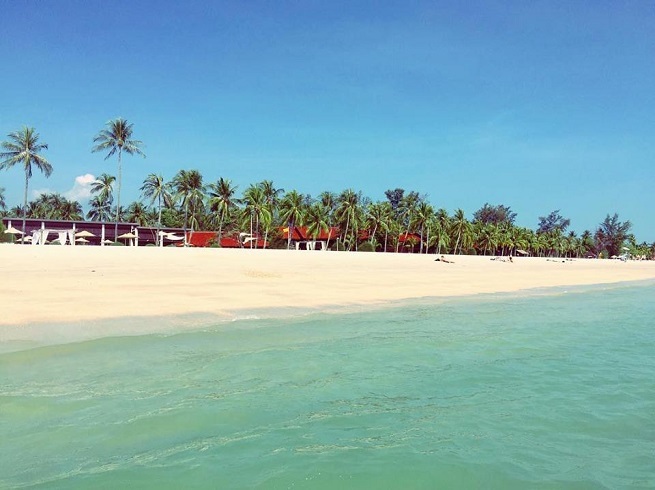 Kedah, the state which Langkawi is part of, is a 99-island archipelago surrounded by turquoise sea and soft white sand. The inner part of the island is comprised of colourful rice fields. 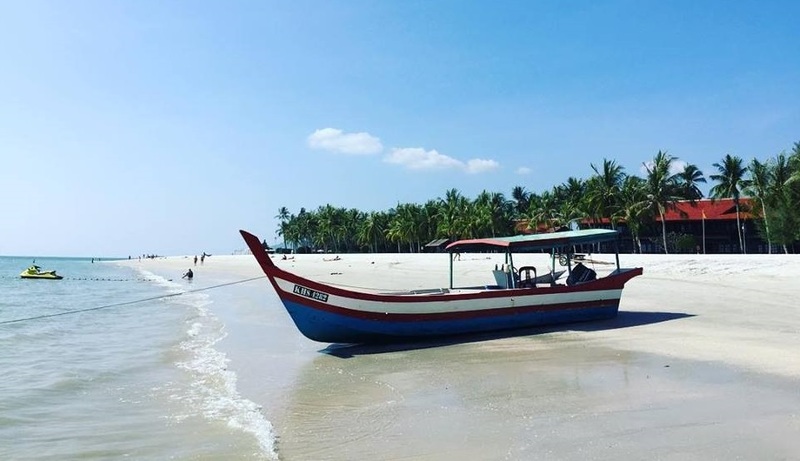 Magnificent beaches, rich in flora and fauna, cheap stores (all duty-free)… Although the island’s inclination is towards tourism, most of the locals are actually farmers, fishermen and entrepreneurs. We disembarked the boat in Kuah, the island’s main town. The statue of eagle, standing at 12 metres tall, is the first thing that welcomes the visitors coming by sea. 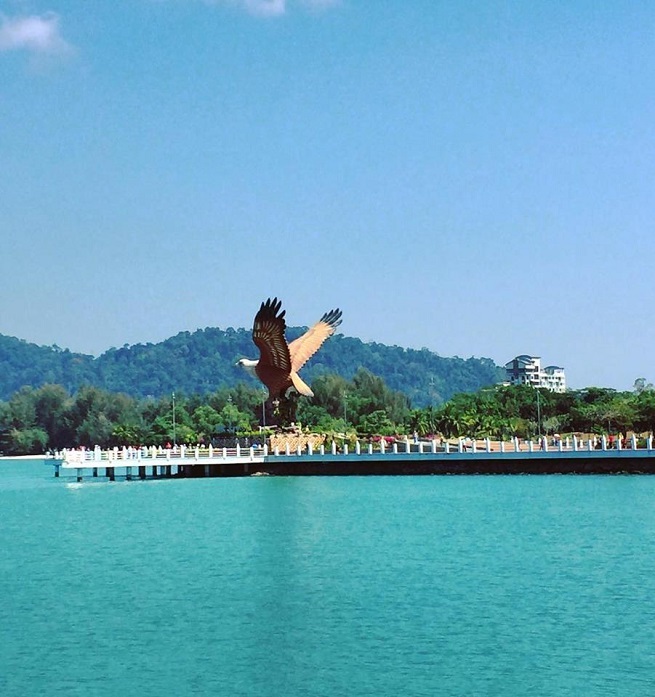 The brown eagle is the symbol of the island as the name Langkawi literally means brown-red eagle. Thanks to Uber, we quickly arrived at Pantai Cenang, our haven for the next few days. 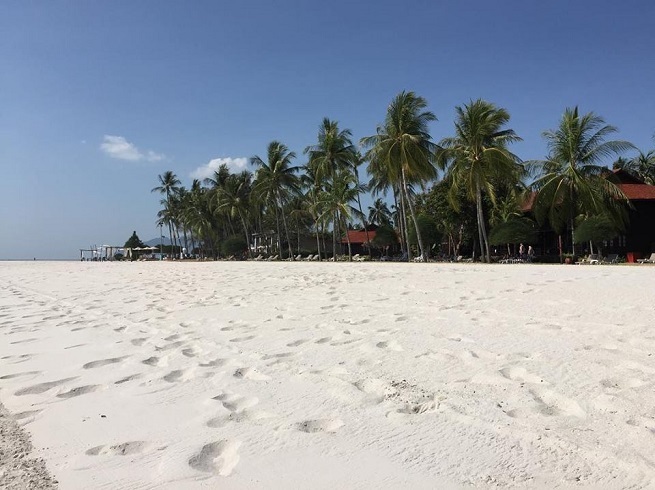 Soft white sand, quite warm sea, abundance of beaches – it is a paradise on earth. I don’t like sunblock products (yes I know, it is not smart and I am aware what it could do to you), but I simply don’t like them. My boyfriend always uses them, so he is in charge of sun protection factors. So far, sunscreen factor 30 served us well, so we use it in Malaysia as well. As if. The sun is so strong that you should not even consider anything other than the sunscreen with protection factor ranging from 50 to 110, which you can buy there. We thought we were the worst and the only ones whose skin is most red that evening, but we went to the town and saw all other poor red Europeans who were literally “fried well-done”. The sun was merciless. And no, I will not publish any photo of the red people; you will have to imagine them yourself. In the next few days, we wandered the island, visited various beaches and enjoyed ourselves. 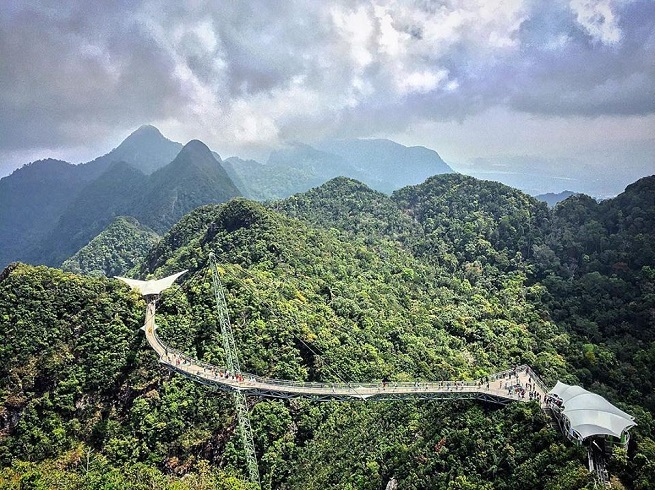 Apart from exploring the beaches, visiting the attraction called the Sky Bridge was the only thing on our list. I have to stress the importance of buying your tickets online. The Sky Bridge is one of the most visited places and it is unbearably crowded. The bridge is built on the top of Mat Cincang Mountain. 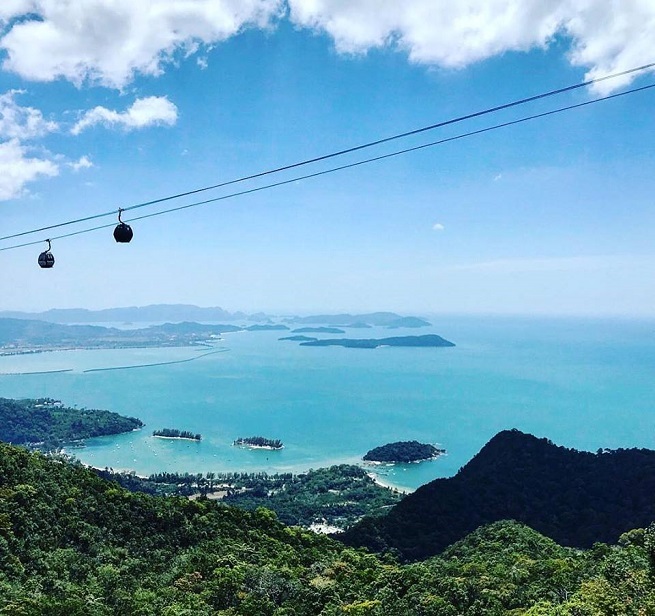 You get to the bridge by cable car, which could also take you to the viewpoint from where you can enjoy the magnificent view of the island and the sea that surrounds it. 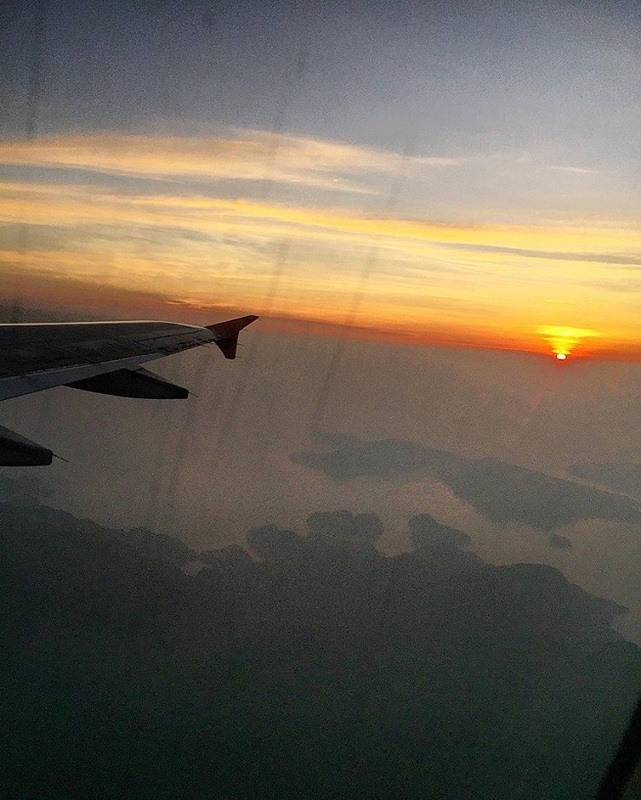 We ended the day with a foot massage, boarded the airplane (the airport is only a 15-minute drive away from Pantai Cenang) and, as the sun goes down, we headed off to Kuala Lumpur. “Once a year, go someplace you have never been before” said Dalai Lama. I am telling you, do not wait until next year. Go now and visit this paradisiacal residence of gods.